When you hear the term “green living”, you may get an image in your head of hippies living in communes making everything they use. Truth is: the definition of green living has changed. The concept simply includes doing things to help the environment be viable for future generations. If you don’t feel like shedding your worldly possessions and living in a mud hut, here are a few steps you can take you make your life a little greener. Buy local organic products. Organic farmers not only use little to no chemicals, they also take steps to reduce water and soil degradation, along with other problems caused by traditional agriculture. Veggies from groceries stores have usually been shipped a long way, which causes environmental pollution. Buy your produce from a local farmer’s market or coop. If you can’t find one, start your own organic garden. Use natural products. Household products that don’t contain chemicals are not only better for the environment; they’re safer for your family as well. 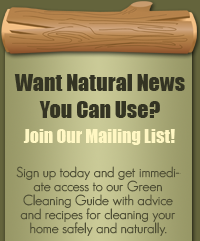 You can make various cleaning products from stuff in your kitchen, like vinegar. If you don’t have the time, there are products you can buy. Just make sure they’re all natural and don’t just have a few natural ingredients. Reduce. We’ve all heard the spiel about reduce, reuse, recycle; however, most of us focus on recycling and completely ignore the reducing. Try to use products that don’t end up in landfills like cloth diapers instead of disposables or regular towels instead of paper ones. 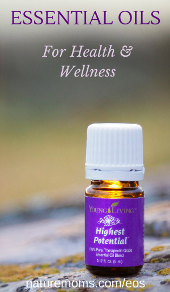 Another great idea is to buy concentrated products because they come in smaller packages. Reuse. Many people have gotten in the habit of sending their recyclables away in the bins, but there’s more supply than demand in the recycling market. That’s why it’s also important to reuse items if you can. Before you throw something in the recycling bin, consider whether you could reuse it for something else. Recycle. We should all have a recycle bin in our homes, but you can do stuff to recycle on your own. Instead of using potting soil in your garden, set up a compost pile and make your own rich soils. You can also use products like shredded plastic bags to mulch your garden. If you get creative, there’s lots of recycling you can do on your own. Conserve Energy. There are so many things you can do to save energy. The big plus on this is that it also saves you money. Get low energy light bulbs for your fixtures. You could also take more drastic renovation steps by getting new energy efficient windows or installing solar panels. Even small steps like setting the thermostat a degree higher or lower can make a big difference. A big way to conserve energy is to get a more fuel efficient car, or get rid of your car altogether. If you don’t need a big SUV, then don’t get one. You’ll be doing the environment a big favor. Teach your children. You might not be able to change the world on your own, but you can start a trend my teaching others to be more environmentally friendly, starting with your kids. Make sure your children know what steps you take to improve the environment and why. 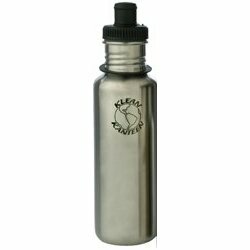 Stainless Steel Water Bottles by Klean Kanteen - Reusable and NO chemicals to leach into your drinking water! 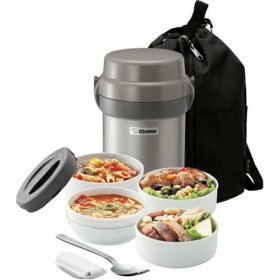 Zojirushi Mr. Bento Stainless-Steel lined Lunch Jar - Round jar with 4 food bowls for hot or cold lunch storage and carrying bag. 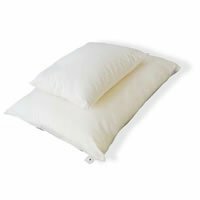 Wool Bed Pillow - Domestic detergent washed wool - no insecticides, organic cotton Percale case. Made in the USA. Voltaic Solar Panel Backpack - The Voltaic Backpack is built tough for use as a weekend hike bag or as a large daypack and it charges your portable devices like cell phones, mp3 players, and iPods.